Bunco was an interesting and well-made TV pilot. It should've been picked up for a series. The plot is about two cops (Selleck and Urich) who bust scam artists. When they bring one of their female cops into an undercover assignment, they uncover more than they bargained for. 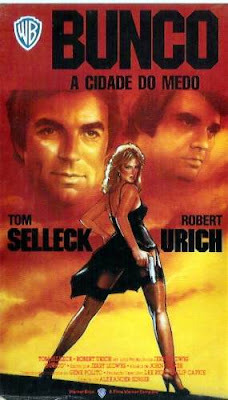 Tom Selleck And Robert Urich play well off each other. If you can find it, this is a fun movie that's perfect for the Selleck Super-fan.